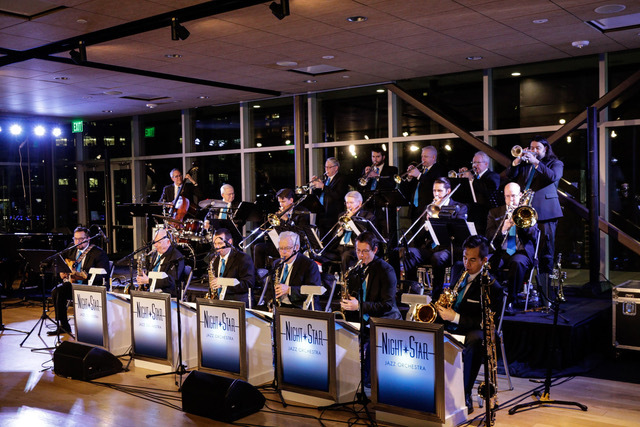 The Night Star Jazz Orchestra repertoire is comprised of modern and traditional jazz big band orchestrations. The classic sound of the studio orchestra is brought to life by the lush orchestrations that used a string section and evokes the sounds of the hollywood sessions from the 40s and 50s. Ella Fitzgerald, Frank Sinatra, Dean Martin, Anita O’Day, Joe Williams, Peggy Lee all sang with bands that featured great arrangers and beautiful music. We strive to bring the essence of those bands and artists back to the stage. We also feature contemporary arrangements from current writers working in the music business today.